If you’re hunting for the quick answer, then yes, the majority of cases of hearing loss are best treated with two hearing aids. If you want to learn why, or are curious about exactly why we have two ears to begin with, then keep on reading. When we look at an image, each eye is provided with a slightly different version of that image. Our brains then measure the differences between the two versions to develop the perception of depth. This additional dimension of depth—in combination with height and width—allows us to experience the world in three dimensions. If we had just one eye, our capacity to perceive depth and distance would be severely compromised. The same phenomenon pertains to our ears and our hearing. Even though we may not think about it, when we hear a sound, we can usually judge both its distance and its location, in addition to its volume. Each ear receives a slightly different version of each sound, and those differences are interpreted by the brain in a way that reveals location and distance. This permits us to hear in three dimensions, so that we recognize how far away and which direction sound is originating from. In combination with being able to assess depth, distance, and location, having two ears also enhances the quality of sound and expands the range of sounds you can hear. To verify the principle of sound quality, the next time you’re playing music in the car, disable both left speakers and notice how unnatural it sounds. If our eye doctor tells us that we have vision loss in both eyes, we don’t seriously think about the merits of getting fitted with one lens. So when our hearing specialist informs us that we have hearing loss in both ears, why do we need to be convinced to get fitted with two hearing aids? As we’ve seen, our ears work together so that our brains can best understand the distance, location, volume, quality, and range of sound. concentrate on speech during a conversation even with significant background noise. pick out distinct voices among many. enlarge the range of sounds heard by up to four times. hear sounds without straining, which is less tiring. listen to sounds without the abnormal feeling of monaural hearing (hearing with one ear). 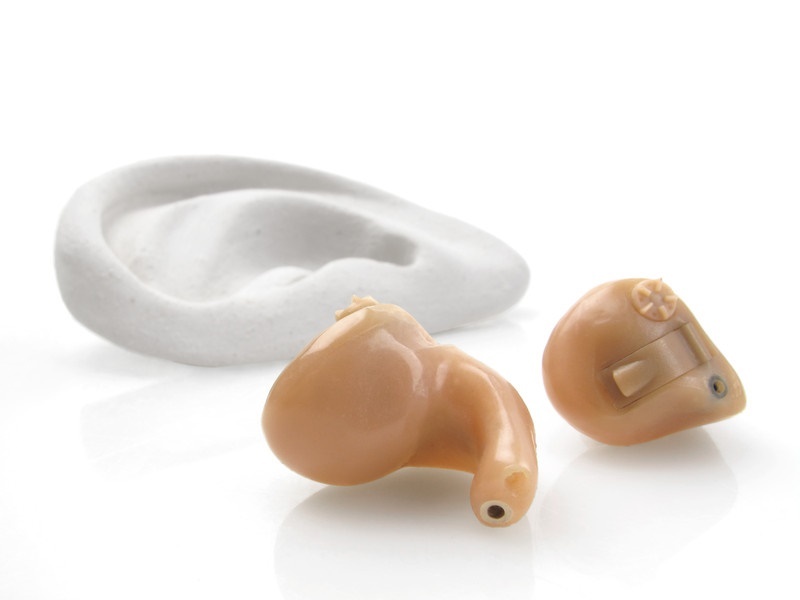 Prevent the deterioration of hearing in the non-fitted ear. That final point is important. If you have hearing loss in both ears but use only one hearing aid, your hearing in the non-fitted ear can become worse over time. This will quickly restrict your ability to achieve all of the benefits just explained. If you think you have hearing loss, the first step is to schedule a hearing test with an experienced hearing specialist. After your hearing is tested, your hearing specialist will discuss the results with you in a chart known as an audiogram. The audiogram will reveal if you have hearing loss in one or both ears, but most cases of hearing loss are in both ears. If this is the situation, your hearing specialist will almost certainly suggest binaural hearing aids for both ears, and you’ll be given the opportunity to trial them before you buy—which is a great opportunity to test for yourself the difference two hearing aids will make.